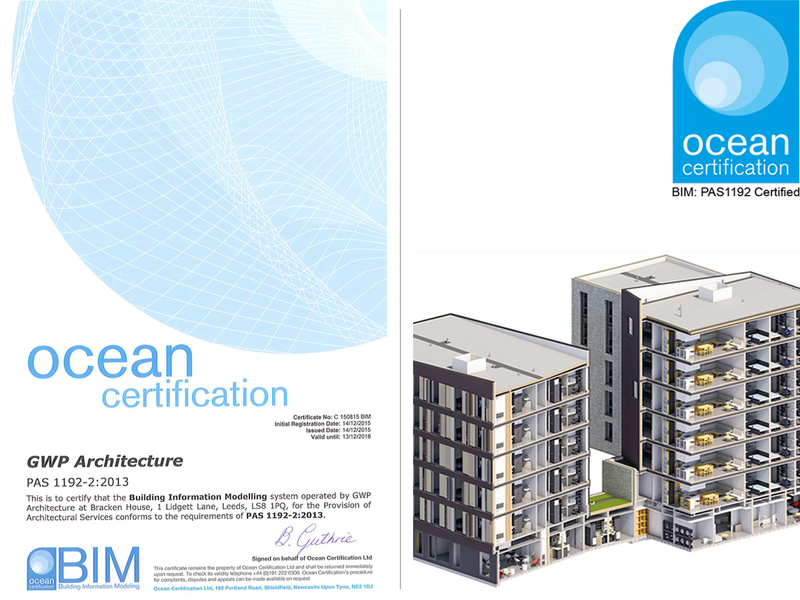 GWP Architecture has become one the first Architectural companies to receive certification to PAS1192-2; accreditation for BIM. PAS1192-2 is the first level of a brand new accreditation, which will in time be developed into a new UKAS standard, measuring information management capability. The standardisation, procedures, management policies and systems that GWP have put in place over the years have now been formalised in line with PAS 1192-2 requirements. Following a successfully audit GWP were awarded the new accreditation. For further information head to our Services page.